Holy Family offers a Choir program for students in grade four through eight. Membership is voluntary and students meet one lunch recess each week. In January third grade students are introduced to the choir program. Participating third grade students meet one lunch recess each week to learn a choral octavo and begin training their voices to become a part of the school choir in September. 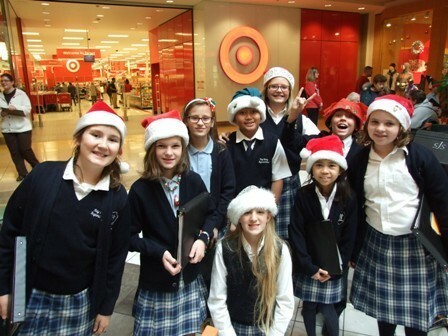 Holy Family offers a Hand Bell Choir program for students in grade fifth through eight. Membership is voluntary and students meet one lunch recess each week. Participants are required to read the notes of treble clef and attendance is mandatory.